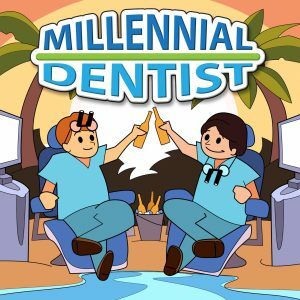 The Millennial Dentist – Exceed Patient Expectations, Enjoy Dentistry More, and Take More Vacations! Welcome to the Millennial Dentist website! Thanks for stopping by and checking us out. Ultimately, this all began as a couple buddies sitting around talking about dentistry and trying to figure out how to make it. Well, we have a long way to go before we make it, but we do know that the collaborative approach of learning from each other will help us get there! We will be the first ones to admit we don’t know everything and probably don’t know the half of it! The three of us have been very fortunate to have great mentors and this podcast is really just a way for us to pay it forward. We will try to interview smarter people, give a millennial perspective to different issues in dentistry, and provide a little entertainment along the way! At the end of the day our goal is that all dentists, both new and seasoned, young and old, male or female, from all over the world will be encouraged by what we have to say! We would love to hear your feedback and thoughts so please don’t hesitate to reach out to us. So sit back, crack a cold one, and enjoy!